Iridium Extreme 9575 provides real time tracking to help increase business productivities by monitoring employees in routes and ensuring the safety of personnel that work in remote areas. Also helps improve military and emergency response operations. Your family and friends can track your location online through social networks. Ultimately Iridium Extreme 9575 allows you to send an SMS text message with your exact location co-ordinates to anyone viewable on an online map, from anywhere in the world. NorthernAxcess offers very competitive prices on airtime. Do you have a 9555 or 9505A iridium satellite phone and want to upgrade to the Extreme 9575 model, you can send us your old iridium satellite phone and will give you credit towards your new purchase. Learn more about the NorthernAxcess Buyback program. Investing in a lifesaving communication equipment such as satellite phone can be very expensive and the manufactures warranty can be limited upon certain physical damages. 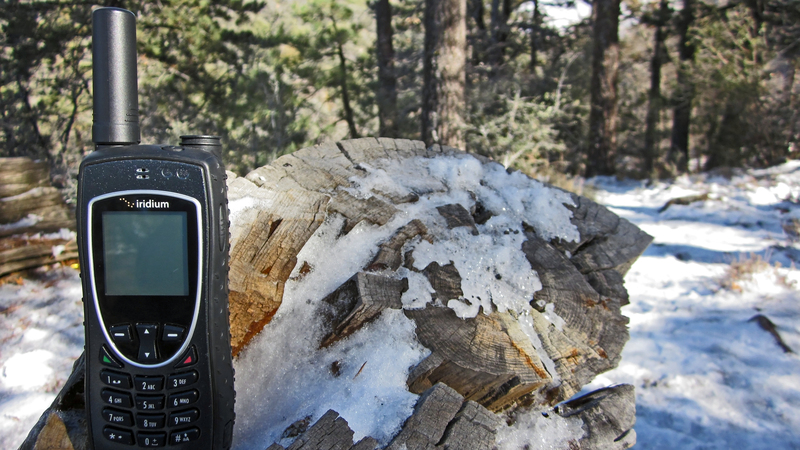 NorthernAxcess offers the Protection Shield Plan for the Iridium Extreme 9575 satellite phone. This plan is valid for 2 years and provides free one-time replacement parts such as LCD screen, microphone, battery and more; Also includes other free services such as maintenance, cleaning and firmware upgrades, 24/7 technical support and Point of Contact Service. Learn more about our Shield Protection Plan for the Iridium 9575 Satphone. EXTREME 9575 ADVENTURE PACKAGE KEEPS YOU CONNECTED ANYWHERE YOU ARE.. The SatStation SolarPak 18 Foldable panel gives you ultimate power in a small compact design. This panel gives you 18 watts of power. Be prepared for an emergency and use it as a back up to charge your satellite phone. This solar panel has a Smart protective integrated circuit to avoid over discharging, overcharging, and over current. Iridium network is a system of 66 LEO (Low Earth Orbiting) active satellites covering the entire earth’s surface moving from pole to pole used for worldwide voice and data communication from hand-held satellite phones and other transceiver units. The Iridium network covers the whole Earth, including poles, oceans and airways. There are many coverage maps depicting the iridium satellite network, but ultimately the iridium network is the only completely true global network available.The design of the Iridium network allows voice and data messages to be routed anywhere in the world. Voice and data calls are relayed from one satellite to another until they reach the satellite above the Iridium handset or terminal and the signal is relayed back to Earth. When an Iridium customer places a call from a handset or terminal, it connects to whatever satellite happens to be overhead, and is relayed among satellites around the globe to whatever satellite is above the appropriate Earth gateway, which down links the call and transfers it to the global public voice network or Internet so that it reaches the recipient. Inc. 75 min. per Month / Overage $1.20 per min. / SMS $0.35. Iridium 9575 Extreme Global Roaming Kit w/ Case & 300 Min. Click the button below to add the Iridium 9575 Adventure Package w/ Solar Panel & Case to your wish list.